Dedicated to St Mary the Virgin, this small, charming eleventh century Norman church (Grade 1 listed) standing near the River Stour (AONB) with a notable ornamented south door, fine Norman chancel arch, and unique C15 font. Gifted to Cluniac monks in the reign of Henry I (1100-35), the interior has a cycle of wall paintings dating from about 1280 which includes an early depiction of St Francis of Assisi and an unusual nativity sequence similar to that found in Autun Cathedral (Burgundy, French Romanesque, 1120-46). This quiet church escaped much of the religious turbulence found elsewhere in the C16 and C17 but by 1800 was in decline. A vigorous programme of restoration and alteration was begun in 1853 by Revd Charles Birch which added an apsidal chancel and a Norman-styled reading desk and pulpit. The east window by Wilmshurst and Oliphant (c.1852-55) is the only known example in Suffolk of work by these celebrated stained glass artists. A fine C15 dragon painting adorns the north wall and a rare working barrel organ can be found beyond the font. Extensive work on the tower, the re-hanging of three bells and the total interior redecoration has been achieved by determined and enthusiastic Friends in the last fifteen years. 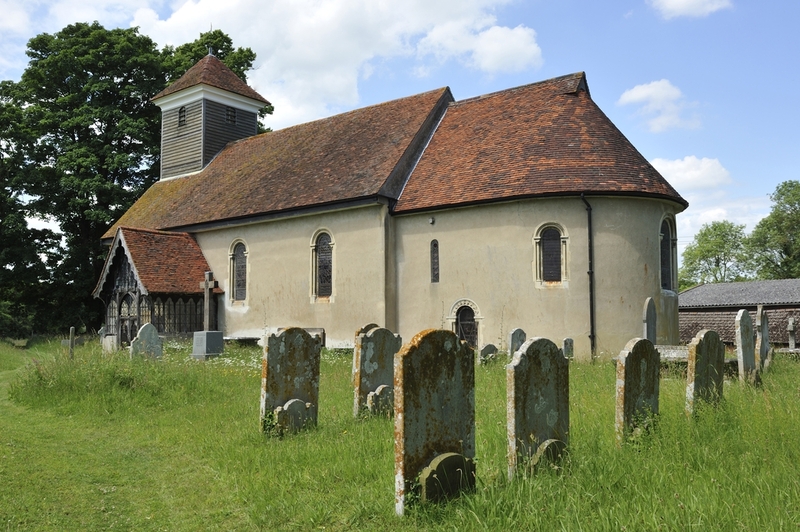 The BBC Radio 4 series This Sceptred Isle recommended that listeners visit this much loved parish church. The Crown has retained the gift of its living since 1525. Visitors are asked to park only in the designated area. Join us for Fun, Activities, Singing and a Shared Tea.